The accommodation was clean and comfortable with great views. We had everything we needed in the room. Nikos was extremely helpful with suggestions where to eat and how to get to various sites in the area. we fully recommend this place. Very nice and comfortable. 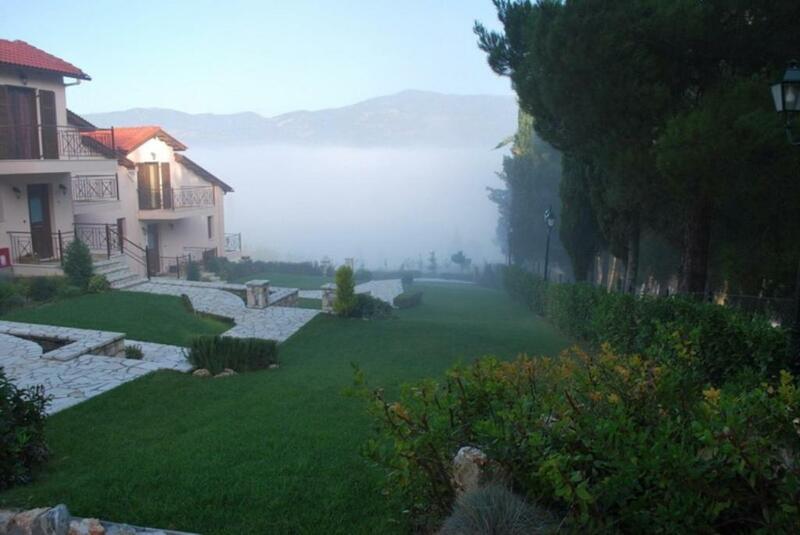 Has a great view over Kalavryta. And Nicolas and Maria, the hosts, were extremely nice, very sympathic and always here to help! Thanks for everything guys! You're doing great! Nikos and Maria are wonderful and heart warming host who created such a relaxing atmosphere, surroundings and a room. They welcomed us like their real friends and our kids (little daughter especially) enjoyed very much playing whith them and their cute dogs, Rico and Poco. Maria's home-made cake was awesome!! The room is so lovely and clean with an amazing view. We will definitely comeback in a near future with our kids again!! Highly recommended!! Nicos and Maria were charming hosts and very interesting to talk to. They could not have been more helpful and treated us as family guests. Nicos took us to the town to point out supermarkets and restaurants, while Maria made the four of us two lovely cakes in the two days we were there, which supplemented our simple breakfast. The guest houses were charming and well furnished. There were good terraces from both the dining room and bedroom, overlooking the beautiful garden and the town. We were a family with a baby and visited the village during Christmas time. 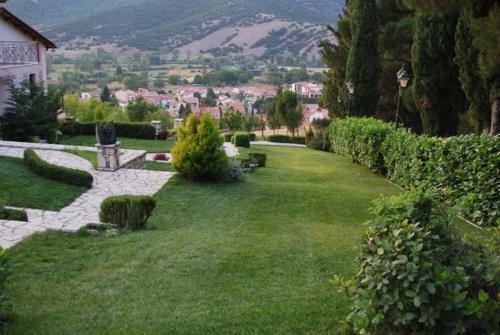 The apartment was very comfortable with great view, within walking distance from the center of the village. The hosts were very welcoming, friendly and made us feel as if we were part of their own family. We really enjoyed the delicious chocolate cake of Maria and the friendly talks with Nikos. Our stay was unforgettable. We will definitely return in the near future. Η κυρία Μαρία και ο κύριος Νίκος εξαιρετικοί οικοδεσπότες! Νιώσαμε σαν να μας φιλοξενούσαν φίλοι. Εξαιρετική διαμονή , καθαριότητα, ησυχία, σπιτικό πρωινό. Το κατάλυμα είναι σε εξαιρετική τοποθεσία με πανοραμική θέα, πολύ άνετο, καθ' όλα εξοπλισμένο (οικιακές συσκευές κλπ) και όμορφα διακοσμημένο με rustique διάθεση, όπως αρμόζει άλλοστε στο τοπίο. Το μεγαλύτερο του πλεονέκτημα είναι οι ιδιοκτήτες, ένα ζευγάρι που το διακρίνει η ευγένεια και η διάθεση να κάνουν τους φιλοξενούμενούς τους να νιώσουν σαν στο σπίτι τους!!! Μας έδωσαν εξαιρετικά tips για τα Καλάβρυτα (εστίαση, αξιοθέατα) που διευκόλυναν και ομόρφυναν τη διαμονή μας! Καταπληκτική τοποθεσία, εκπληκτική θέα, οι οικοδεσπότες ο κ. Νίκος και η Κ. Μαρία αρκετά φιλόξενοι και υπέροχοι άνθρωποι! Το κατάλυμα ευρύχωρο, καθαρό και ιδιαίτερα διακοσμημένο (Παραμυθένιο)! Πρωϊνό γευστικότατο!!! Πολύ προσεγμένα δωμάτια πεντακάθαρα και πολύ φιλόξενοι ιδιοκτήτες!!! Η τοποθεσία, οι οικοδεσπότες και το δωμάτιο! Όλα ήταν υπέροχα. Από την πρώτη στιγμή νιώσαμε πολύ όμορφα. Το σημείο που είναι χτισμένο και οι εξωτερικοί χώροι εξαιρετικοί. Τα παιδιά δεν ήθελαν να φύγουν. Σίγουρα θα ξαναπάμε! 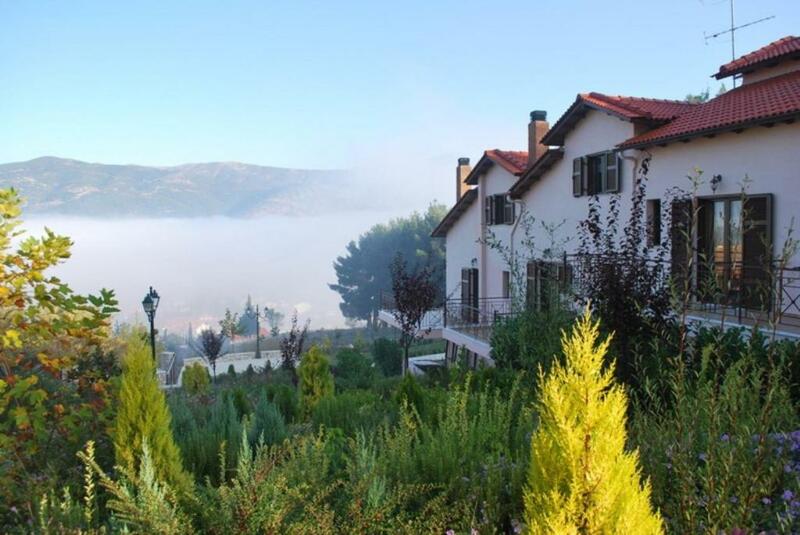 Lock in a great price for Nefeli Guesthouses – rated 9.5 by recent guests! Set amid a 6,000-m² garden full of various trees and lawn, Nefeli Guest houses is located in Kalavryta Town of Achaea, within 2,300 feet from the central square. 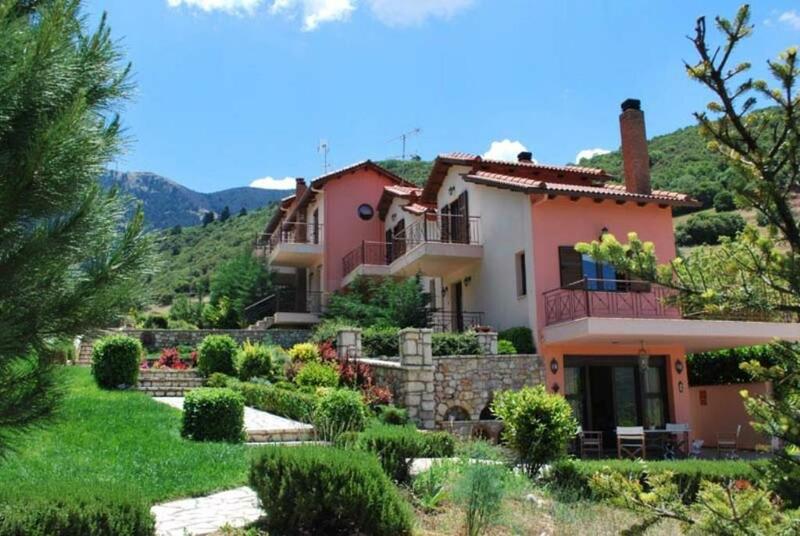 It offers apartments with fireplace, free Wi-Fi and balconies overlooking Helmos Mountain and the garden. Divided in 2 levels, the apartments of Nefeli are tastefully decorated with classical furnishings and different colors. Each unit features a seating area, a well-equipped kitchenette and a dining area. A fridge, a flat-screen TV and a DVD player are available. The private bathroom is stocked with bathrobes and free toiletries. 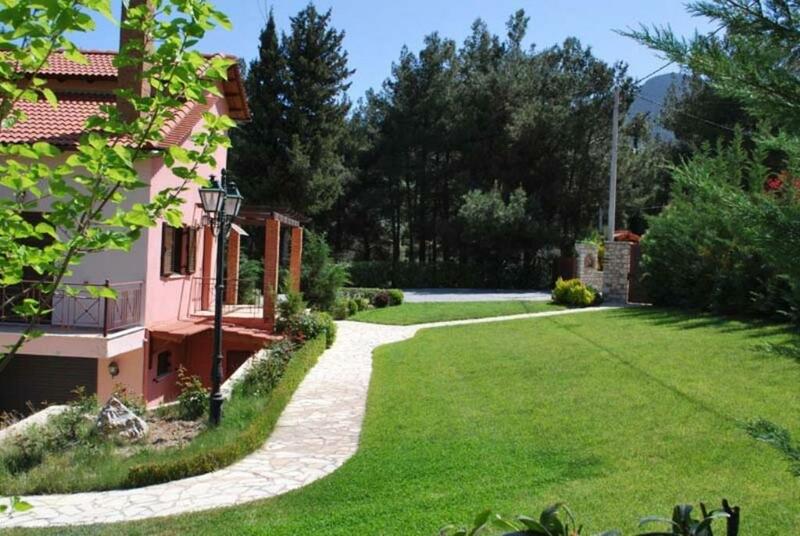 Restaurants, bars and supermarkets can be found within a short walk from Nefeli Guest houses. Aigio Town is at 31 mi, while Patra Town and Port are 56 mi away. Kalavryta Ski Resort is at 9.9 mi. Free private parking is possible on site. 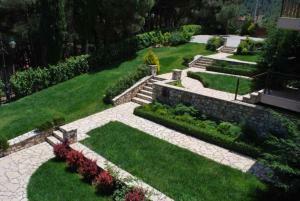 뀐 Located in the top-rated area in Kalavrita, this property has an excellent location score of 9.5! When would you like to stay at Nefeli Guesthouses? Please note that the first basket of firewood is complimentary. 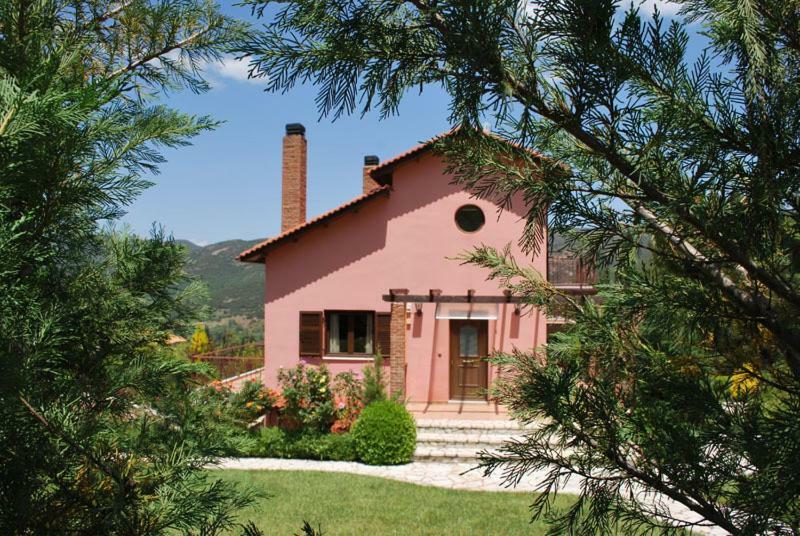 House Rules Nefeli Guesthouses takes special requests – add in the next step! Nefeli Guesthouses accepts these cards and reserves the right to temporarily hold an amount prior to arrival. Please note that a basket of firewood is offered. Extra amount of firewood is available at extra charge. 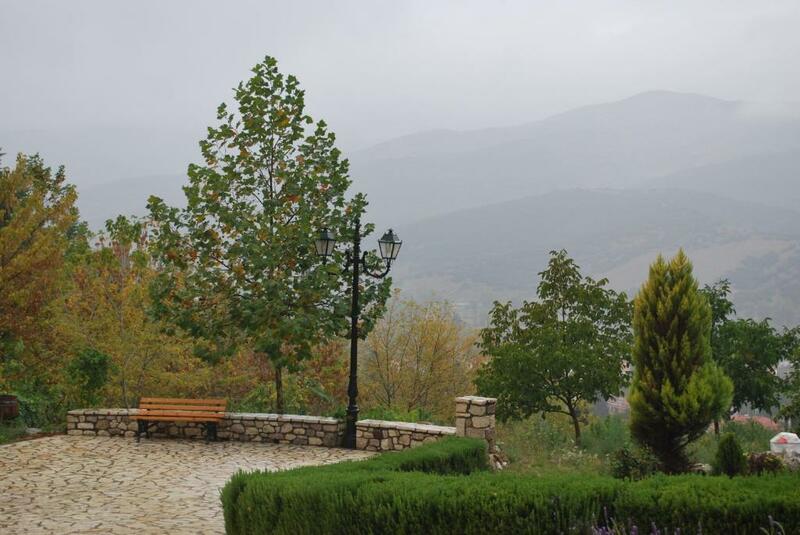 The access roads to the property are steep and not good, but once you reach Nefeli there is plenty of parking.